Handy Smart YANTEK Diagnostic Tool auto circuit tester YD308 Covers All The Function of YD208,free shipping with express . 5. There are two modes to display the frequency, in ware or digit, suitable for two different sensor signal detection environments. Some are focused on waveform changes, and some on precise frequency values. 7.It can support the maximum current 18A and set the trip current (2-18A optional threshold) for various circuit environments. 9. 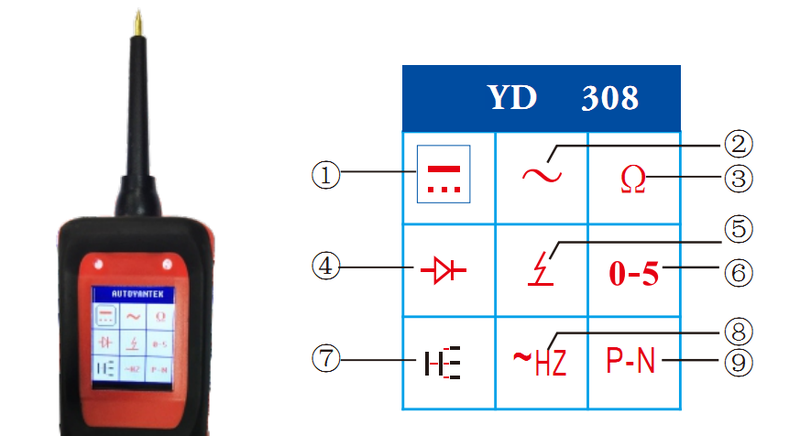 The relay test function is intuitive and convenient, just connect the line according to the diagram color; that is, you can directly test the working condition of the relay.